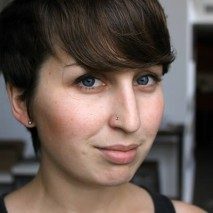 Whenever we buy things, we’re making choices: about our mood, priorities, and how we want the outside world to see us. 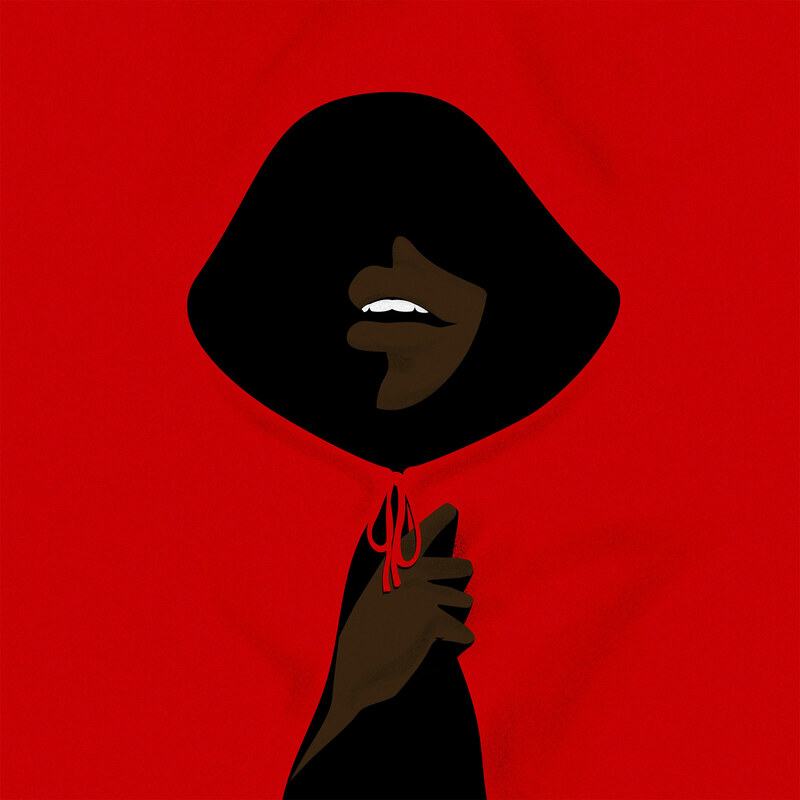 Illustrated products are a great way to express one’s unique voice. Here are 9 products that have elements of illusion and surprise to them. 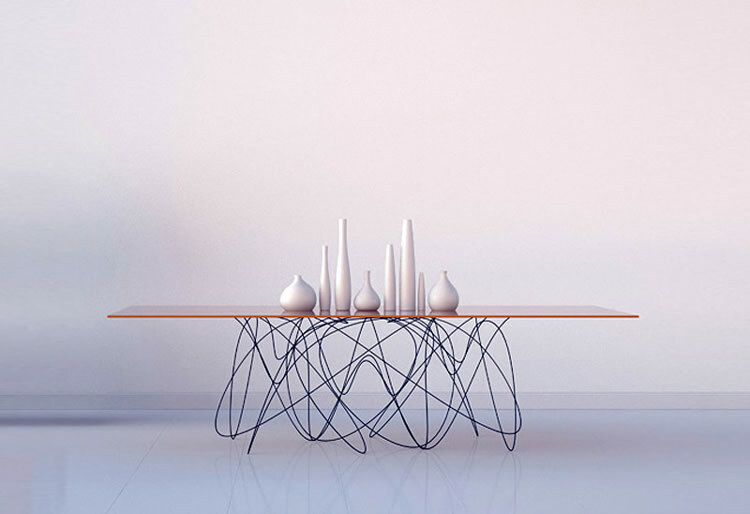 Their clever-yet-functional designs infuse playfulness into the everyday. The imagery and styling of these objects can range from amusing to gloomy, but no matter the mood, they’re certain to let the world know who you are. 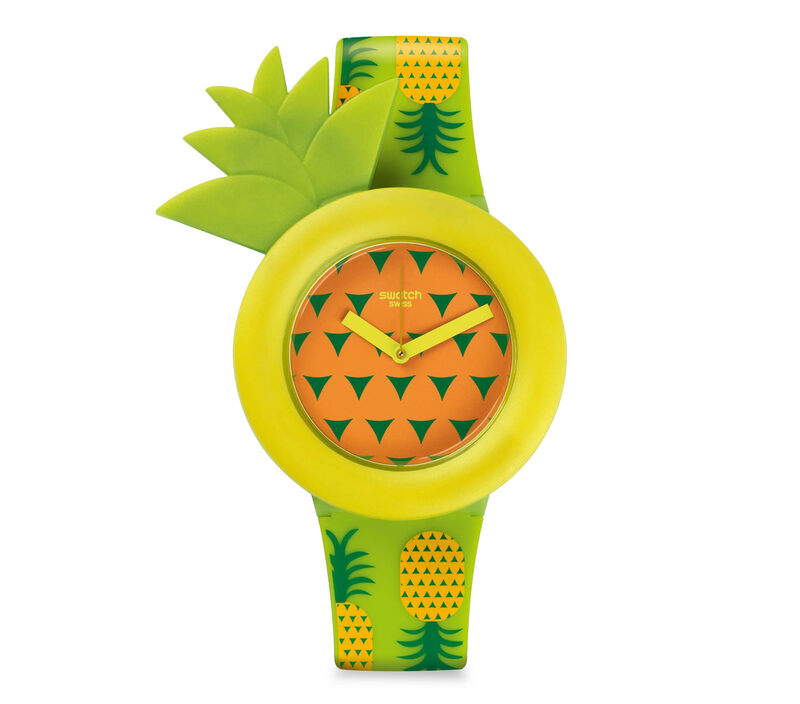 Top: The “Exotic Taste” watch by Swatch resembles a deliciously tart pineapple. 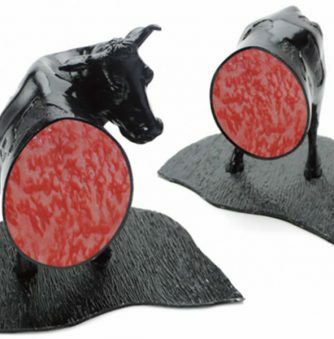 The surprise head in this dish adds some drama in your dining. 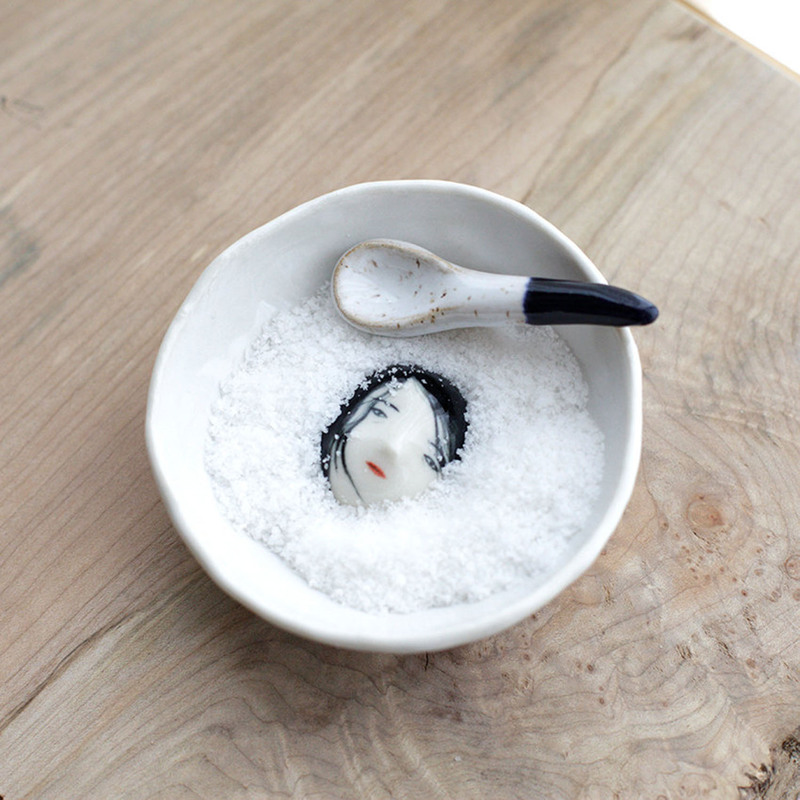 At first glance, this salt bowl might look pretty ordinary. It’s only upon peering into the bottom that you notice a face buried beneath the grains, looking as though it’s trapped underneath a cold, snowy landscape. 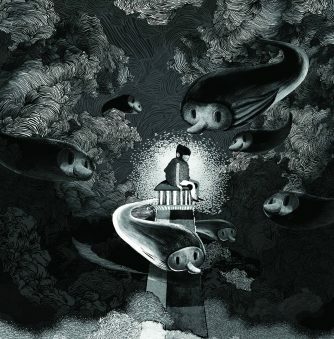 With just a few brush strokes, artist Rami Kim has depicted a look of desolation on the figure’s face. With its vibrant colors and striking design, this purse is a statement piece. You’ve probably heard the expression, “…when pigs fly!” as a sassy way of saying “that’ll never happen!” Well with this purse, they really do take flight. The bright, glittering accessory has a bold, graphic style to it, and the stiffness of the material makes it look more like a pig and less like a purse. 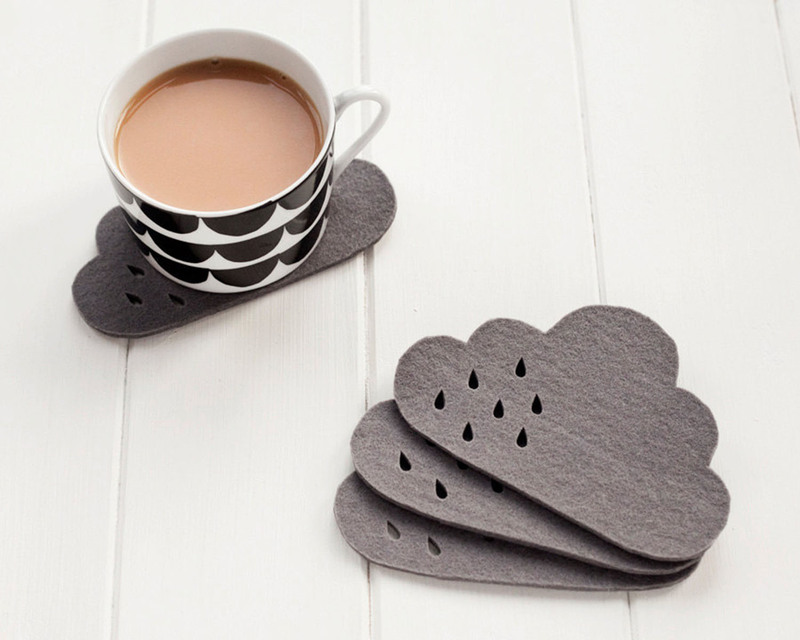 The illustrator dedicated her cloud coasters to the dreary London weather. 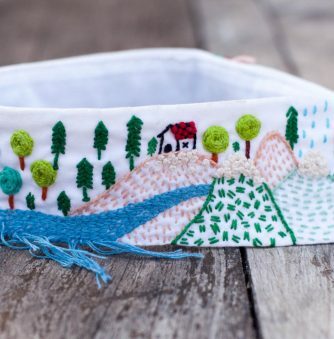 Make the rainy days less dreary with these delightful cloud coasters. 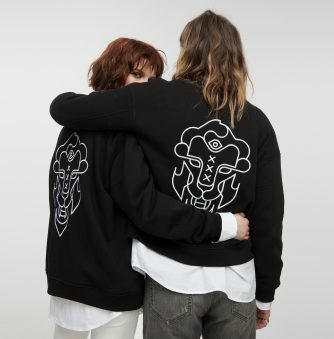 London-based shop Pygmy Cloud created them using thick, 100% wool felt. 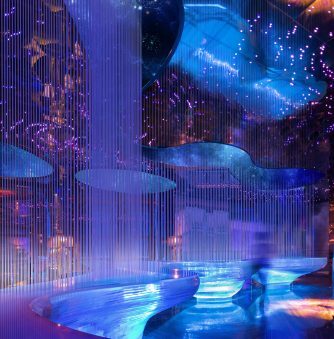 The full, rounded shape is complemented with small rain droplets that have been punched within their form. This pineapple-themed means you can wear fruit on your wrist. Swatch is known for their brightly-colored watches that catch the eye of passersby. 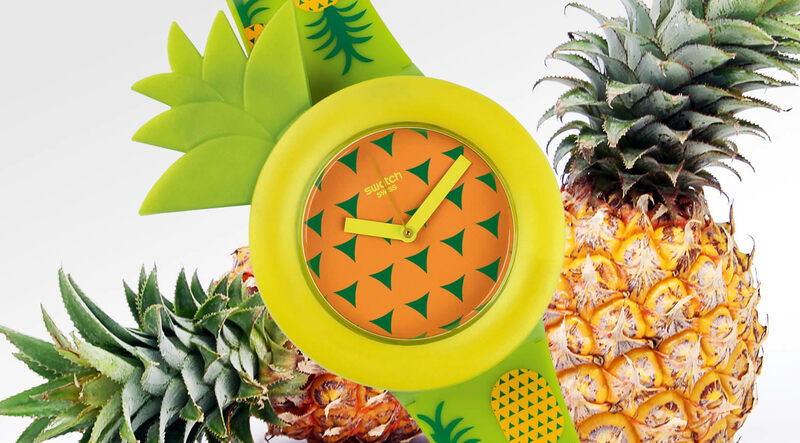 This citrus accessory resembles a pineapple with a simple addition—leaves have been added onto the watch face, mimicking the look of the actual fruit. 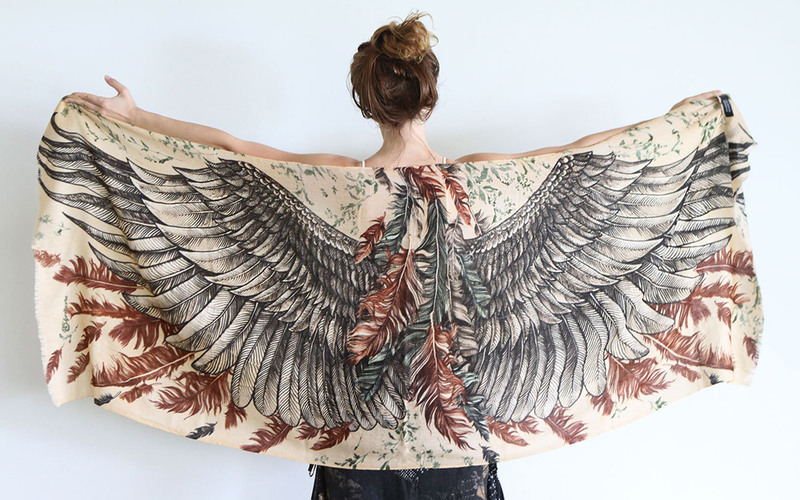 The beautiful scarf design is hand-painted and then digitally printed on silk. 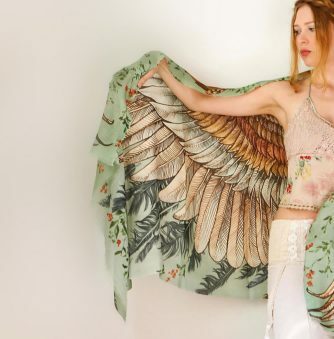 Pretend you’re a bird with this gorgeous silk scarf by Shovava. The delicate design reveals an entire wingspan when spread out, and the feather structure aligns with your arms—this means that as you wrap your body in this garment, you’ll always feel as though you’ve got wings. View the world in tints of pinks and greens with these mirrors. 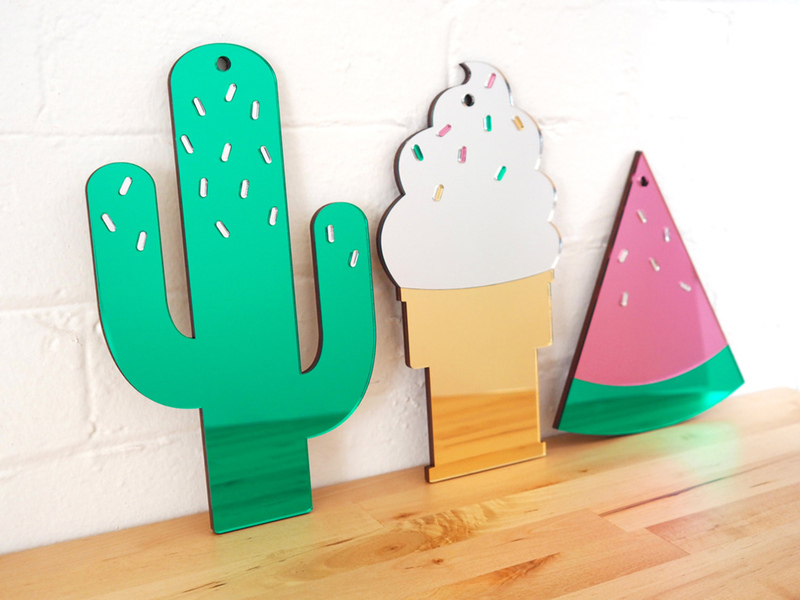 A cactus, ice cream cone, and watermelon slice have been immortalized into mirrors by McKean Studio. The colorful, reflective surfaces offer a fun alternative to ordinary glass, and they double as whimsical wall art when left on their own. To create this pin, a stamp was imprinted in metal and then hand-filled with colored resin. Enamel pins are having a moment. 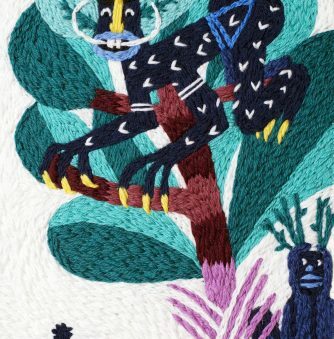 Illustrators, artists, and designers are creating playful pins en masse, and with good reason—they’re the perfect small accessory to liven up a backpack or denim jacket. Big Bud Press has created a half-peeled banana pin that looks just ripe enough to eat and enjoy. “Infested” with ants, it looks as though this bowl was left at an outdoor picnic. Anyone with a fear of ants won’t want to go near ceramics by Evelyn Bracklow—they’re crawling with countless fake critters. 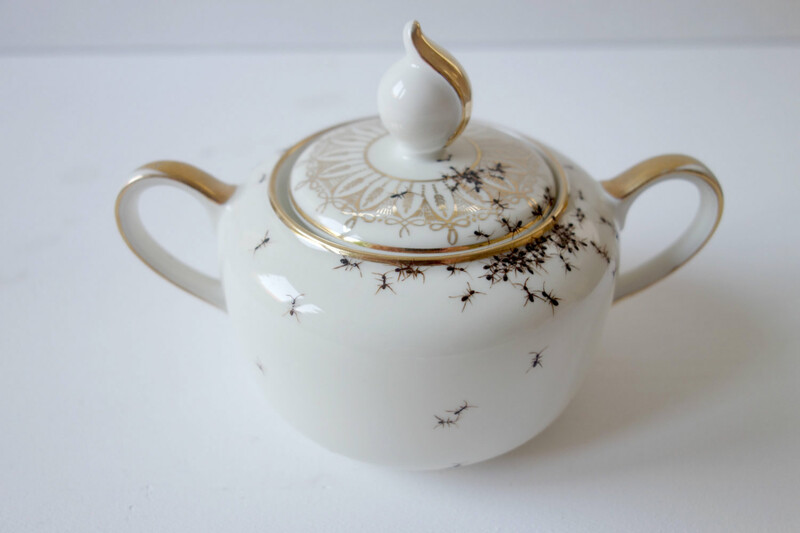 Using vintage porcelain, the artist hand-paints each and every ant, grouping them into small armies so that they resemble the real creatures. 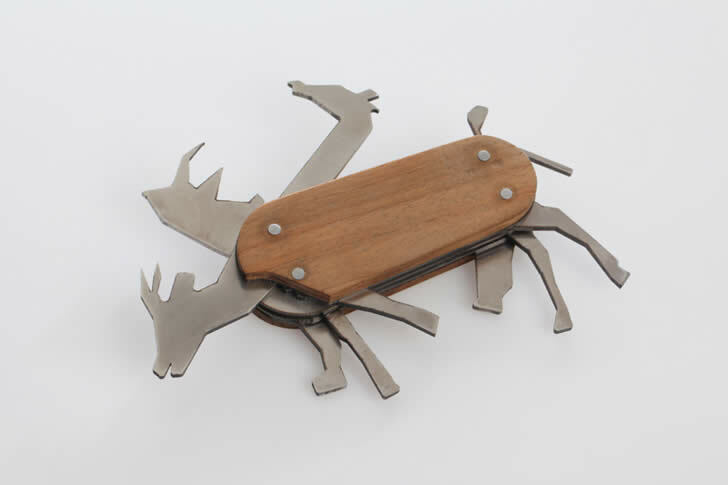 You’ll definitely do a double take! 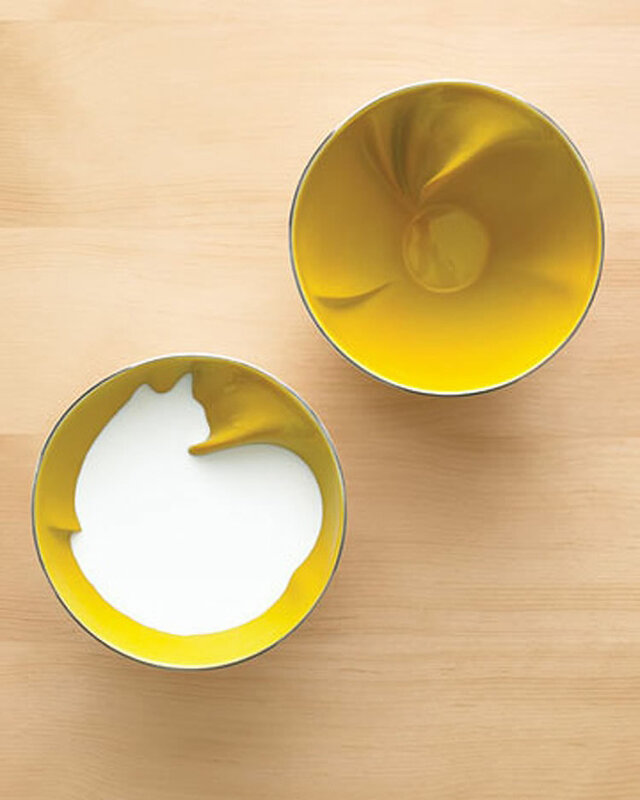 This imaginative ladle makes cooking more fun. Regular ladles can be so boring. 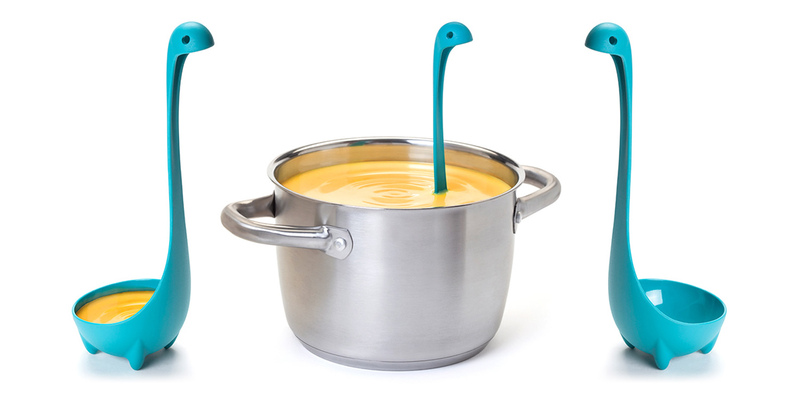 The clever Nessie ladle by designer Jenny Pokryvailo transports the mythical creature into your soups and stews. Its neck is long enough to reach the top of any pot, and the spoon also has stubby legs that allow the object to stand on its own.